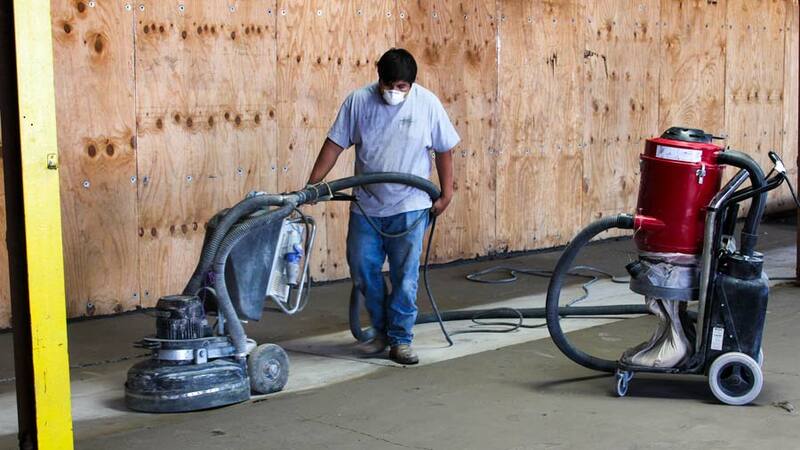 OSHA has adopted new rules designed to protect workers from exposure to respirable (breathable) crystalline silica, such as the dust from diamond grinding concrete floors in preparation for installing resinous, seamless floor coatings. These rules have the force and effect of law and go into effect 23 September 2017. They apply to use of floor grinders typically used in surface prep work used in epoxy and polyaspartic resinous floor installations. Most if not all applicators using our resins, are probably already in substantial compliance today with most of these rules and have been for a long time, if not from the start of their floor business. These new rules require a written exposure control plan that identifies tasks that involves exposure and methods to protect workers, designating a competent person to implement the plan, restricting housekeeping practices to limit exposure, and to offer medical exam and chest x-ray to employees once every 3 years if they are required to wear a respirator for 30 or more days per year. Equipment wise, you will note in Table 1, the rule requires you to use shrouds on your grinders and vacuum systems that meet certain air flow and filter standards (see table 1, link below), and potentially provide respirators to your install teams if the vacuums are not rated up to the stated specs. In Table 1, you will want to scroll down and review those sections that seem most applicable to diamond grinding a concrete floor and read section xii (handheld grinders for uses other than mortar removal), and section xiii (walk-behind milling machines and floor grinders). It appears that as long as you have a shroud around your grinder and a vacuum system with filter that meets the specs, you are not even required by the rule to provide a respirator or mask to your installers. We think the best practice is to still provide installers with the replaceable filter respirators along with appropriate filters. Our customers use many different floor application and prep methods and purchase many different models and types of floor prep equipment from many different equipment manufacturers and suppliers. Since we do not make or sell the diamond grinding machines or concrete vacuums, our best advice is that if you have questions about complying with these OSHA requirements, or have questions about whether your equipment meets OSHA’s specs, contact your equipment supplier or manufacturer for their recommendations and advice.